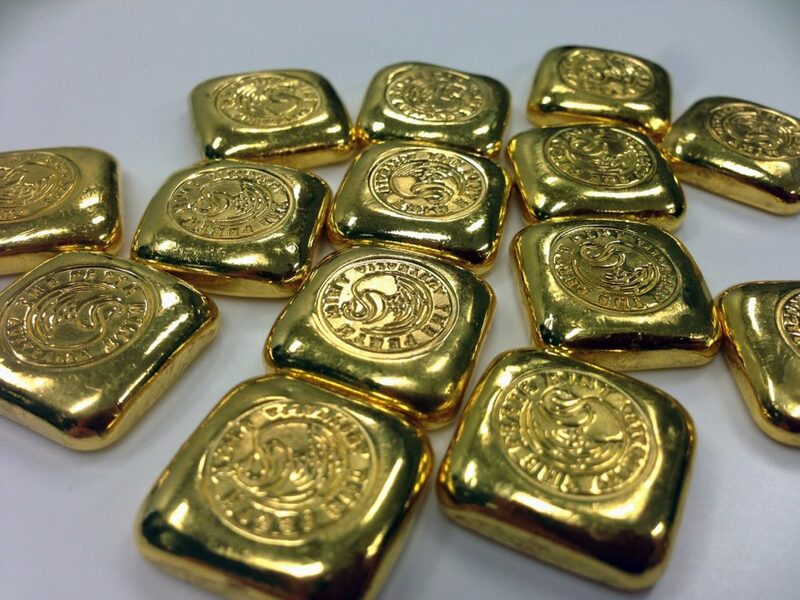 Strong U.S. Dollar Side-Effect: Are Central Banks Dumping Their Gold? Are Central Banks Dumping Their Gold? Gold prices fell more than $17 on the day, and while central banks may have played a role in its selloff, the bigger driver is the strong U.S. dollar, fueled by rising interest rates, said Gerald Celente, publisher of the Trends Journal. “What brought gold down? Well, obviously, rising interest rates, that’s no surprise, the higher the interest rates go, the stronger the dollar gets, the opportunity cost for gold rises,” Celente told Kitco News. Another side-effect of a strong U.S. dollar, according to Celente, is the rapid depreciation of emerging markets currencies, like the Turkish lira. Side-Effect Of A Strong U.S. Dollar: Are Some Central Banks Dumping Their Gold? Gold prices nosediving this Wednesday falling more than 17 dollars as of noon. So are central banks the culprit here and selling their own gold reserves. Joining me today is Gerald thina a publisher of the Trends Journal. Welcome back. Gerald always good to see you. Always great being on. Thank you for having me. So why not throw out the theory to you that the gold depression here is due to a smaller central bank selling their gold offloading their gold. Could this be playing a part in the falling price here. Well it could be the bigger issue and we've been talking about this. I mean going on five years now more than that that gold had a break over 14 50 announced to have strength and then this year we said when gold began its decline that the bottom was around 1200 dollars in that range. And the reason being around 1200 dollars is because we're the go from Peru to South Africa. That's on average where the cost to pull out of the ground. So we see it near right now near the bottom of its range. What brought gold down. Well obviously rising interest rates. That's no surprise. The higher the interest rates go the stronger the dollar gets the opportunity costs for gold rises. Now what's happened as the dollar got stronger. Of all the emerging market currencies got weaker the emerging markets since the Great Recession have borrowed 40 trillion dollars. A lot of that is dollar based. You take for example Turkey which is the big one in the news. They have about now just on the corporate level almost 300 billion dollars in dollar based debt. So you're looking at the the. Turkish lira declining wide 45 percent against the dollar right. So it's bigger than just the central banks that are desperate. And what's going on. Yes that's part of it. It may be I don't have the inside information on it but it certainly makes sense because when you see for example in Argentina what is their interest rate now 45 percent. They just raised it 5 percent 5 percent on Monday. And we talk about 25 basis point rise right Eric. So I think a lot of investors are just frustrated with gold because it didn't come in to save the day with the Turkish crisis. We're now seeing the S&P from more than 1 percent as of noon. Gold has not responded positively. So the question is has it lost its status as a safe haven asset or is it just because the dollar is just too strong right now it's because the dollar is too strong. Go back to the Asian crisis in 1997 and look what gold did. It did nothing 97 98. It didn't respond because they don't have the money to buy the gold. And so you're looking for example China India again. The Indian rupee now is going to hit an all time low against the dollar one of the biggest purchases of gold in the world those people their currency is going down so buying commodities based dollars. It doesn't work and it's the same thing. It's not only gold. Look at copper prices and bear market territory get silver but so Gerrold you say this looks like it's the bottom for gold aren't things going to turn around now according to you. Yes we believe we're near the bottom maybe of another 30 dollars down and again we don't give financial advice. What we're saying is this trend forecasters again it cost on average to pull gold out of the ground about 1200 dollars so we don't see it going much lower but we are in a downdraft.